Peru is a great alternative for your next vacation and should be on your list of places to visit. The amount of tourist that visit the Andean country every year is growing and not only are people coming for the fabulous attractions they are also coming to experience the wonderful food on offer. 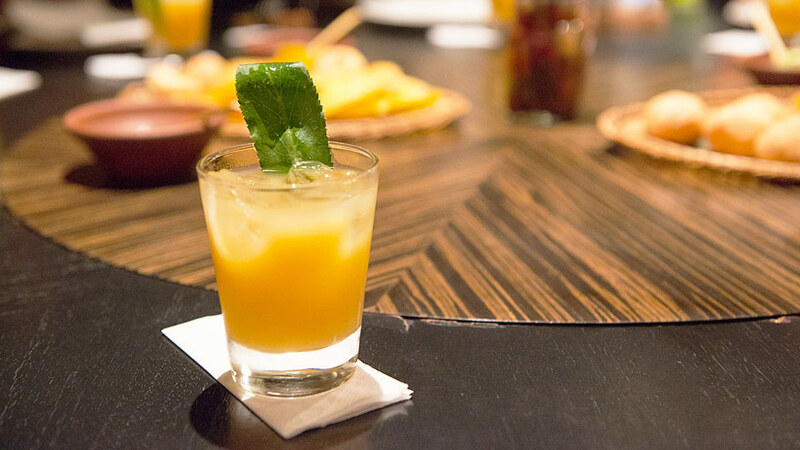 Peru and specially Lima have some of the finest restaurants in the world and have been rewarded by winning three places in the world top fifty restaurants. Go on line to find the best restaurants in Lima Peru. However, not only are there fine dining establishments to experience also there are Peru superfoods healthy fuel for your body to learn about. Let us start with Quinoa, Quinoa has been eaten in the South American region for centuries and the ancient civilizations recognized it as a great source of protein. Today we know that it is more than just protein, Quinoa is also rich in fiber, low in calories, free of gluten and packed with antioxidants, vitamins and minerals. Although popular with healthy eaters, the grain is widely used around the world in top restaurants. Here in Peru, Quinoa is used in many different forms, in soups, made as a porridge for breakfast and also made many different ways as a main meal. 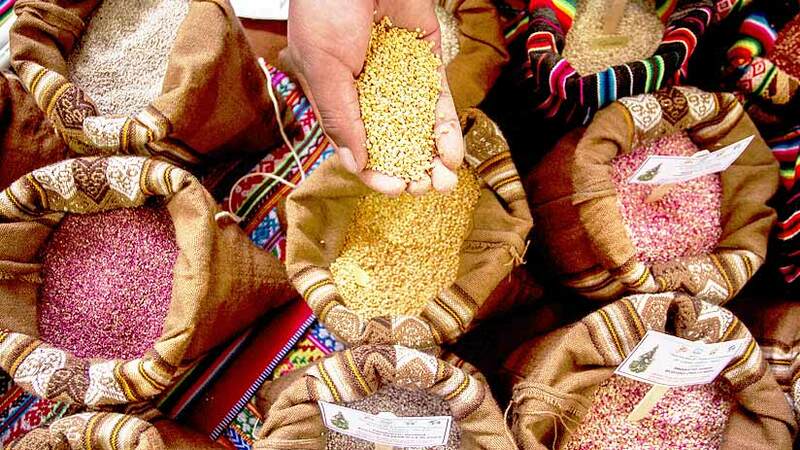 Scientists are developing Quinoa to grow worldwide as a form to eliminate world hunger. 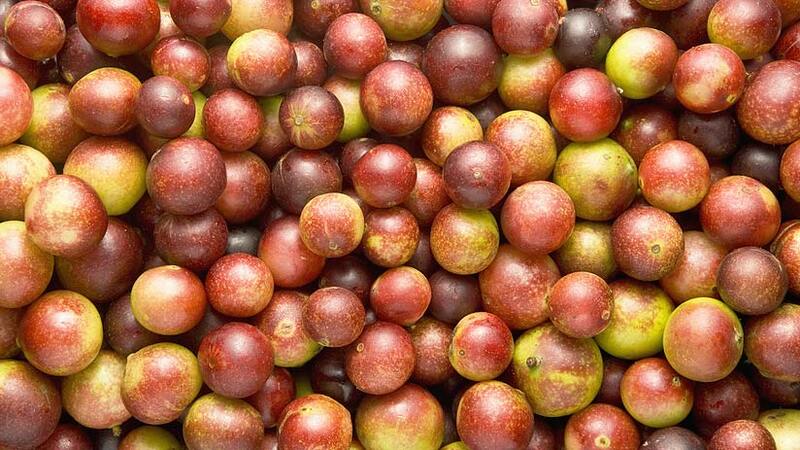 Next, we have Camu camu, which is considered to be natures vitamin C, the berry has 50 time more vitamin C than oranges. The anti-aging effects of vitamin C on the skin has also led to the berry being used in the cosmetic industry. The berry also contains iron, niacin, riboflavin, phosphorous and potassium and has antioxidant properties. The ancient people used the berry to the symptoms of colds and flu, shingles and herpes. Today Japan and the United States are huge importers of the pulp, powder and pills. In the Amazon Camu camu has become an important export earner for the local farmers. Being a huge source of vitamin C the berry has a sour taste, but it is used in fruit juices and drank at breakfast time, the powder or pulp can also be eaten with ice cream. 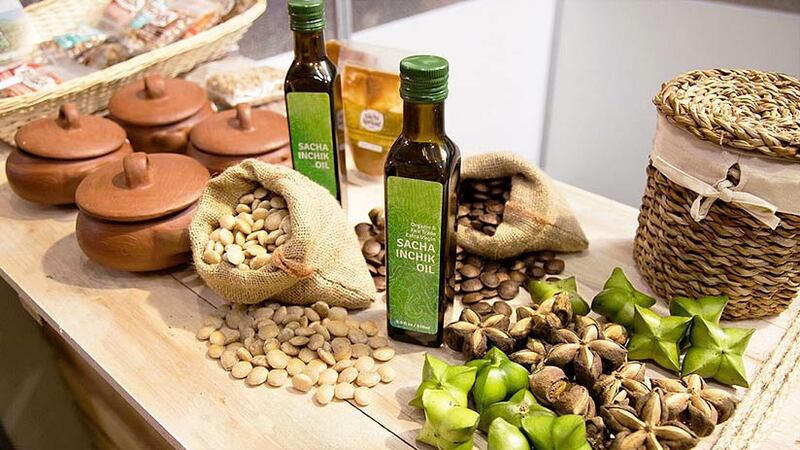 Sacha Inchi, or the Inca peanut is found in the high altitude rainforests of Peru. The pods contain oval seeds that are similar to almonds size and shape. 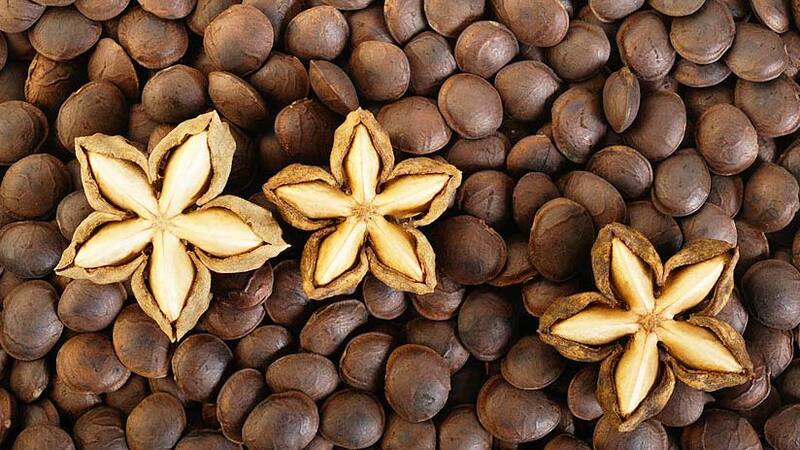 The seeds are roasted and eaten as nuts or processed to make oil. The nuts are high in protein and oil and as part of a healthy diet, it can improve cardiovascular health, lower cholesterol, boost brain function and protect against cancer. Archaeologists found drawings of the plants suggesting that the nut has been used for many centuries. It is still believed that the nut can assist in the growth of children and assist in the health of the older generations. Today it is mostly used as an oil for salads or to cook with. 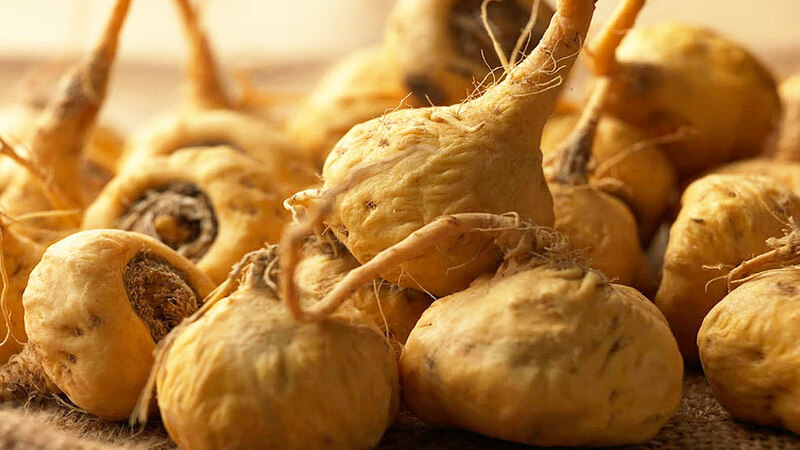 Maca is a root vegetable that looks like a radish. The vegetable is native to the highlands of Peru. The dried root is known as Peruvian Ginseng because of it effects, helping with physical stamina, endurance and sexual energy. The nutritional values of the root are that it is high in carbohydrates, protein and fiber. It is also low in fat and sodium and rich in calcium and potassium. It also helps the system to fight fatigue, increase energy and balance moods. Maca has an earthy taste and is perfect to use in smoothies and as a breakfast drink. In ancient times, Maca was used to feed the warriors before they went into battle to give them energy and keep them strong. When the Spanish found out about Maca they demanded to be given and it is said that they immediately felt the difference. While in any area in Peru look for the ladies in the mornings, selling hot Quinoa cooked with apple or Maca served with milk as a delicious breakfast treat. The drinks will give you energy to get through the day. They are not only good for you but taste great. Many vegetarian restaurants in Cusco have these superfoods on the menu. 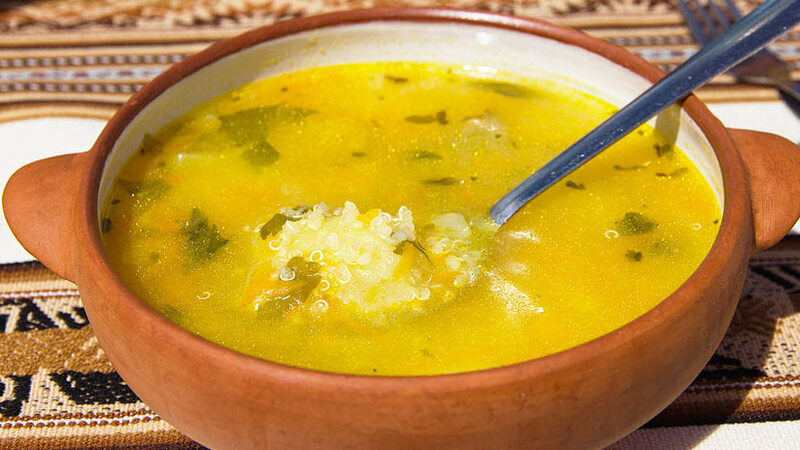 You can enjoy Quinoa in soups and seconds all over Peru. Look on the internet for tips for healthy travel and try to include some of the superfoods in your daily diet. Do some research on what tours you would like to do on your travel tours Peru adventure the benefits of a visit to Peru are endless. Peru is one of the most diverse countries on the planet and with the extensive ancient history; you will want to see more. If you have a love for ancient history and are interested to learn more or if you are a nature lover and want to see the magnificent Amazon jungle than book your Peruvian tour today.